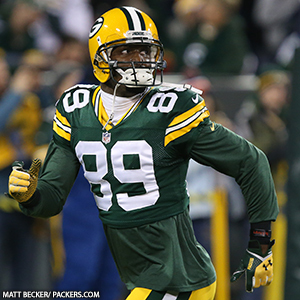 Green Bay Packers WR James Jones was featured last weekend on ESPN’s Sunday NFL Countdown. ESPN’s Michelle Beisner interviewed Jones, who talked about growing up homeless and his journey to the NFL. Atlanta QB Matt Ryan has been known for years as “Matty Ice” for his calm, cool approach late in games, but Packers WR James Jones thinks his current QB, Matt Flynn, can lay claim to that nickname, too, after Green Bay’s second-half comebacks the past two games. For his part, Flynn said his cool approach in clutch situations is a combination of his laid-back demeanor and a focus on being emotionally in control as a leader on the field. “I think I’ve always kind of had that,” Flynn said. “I’m a laid-back guy, and that’s my nature. I make a conscious effort not to get too overly excited or too down, just because I feel like there’s a lot of chaos going around, so when we get in that huddle, a couple seconds before we run each play, it’s good for them to have a calming effect in the huddle. WR James Jones practiced on a limited basis for the second straight day on Saturday and has a chance to return on Monday night after missing the last two games with a knee injury. Jones is listed as questionable on the injury report. Speaking with reporters after practice, Jones labeled himself “50-50” and said it all will come down to how the knee feels on Sunday morning after the work he has done with it throughout the week. “I’m mostly just going to see how it reacts tomorrow,” he said. “If it reacts pretty good, we might have a decent shot. If I wake up sore and all that stuff, I don’t know. In other injury news, Packers CB Sam Shields sat out practice on Saturday and is listed with an injury to his “toes,” but he’s probable for the game. TE Ryan Taylor (knee) sat out practice on Friday but is listed as probable. He has missed the past two games. LB Brad Jones (hamstring) was a full participant in practice all week and is also probable, set to return after missing the past three games. LB Nick Perry (foot), who practiced one day last week, did not practice at all this week and is listed as doubtful. Packers WR James Jones, who has missed the last two games with a knee injury, appears to be getting closer to a possible return after he practiced on a limited basis in pads on Friday. 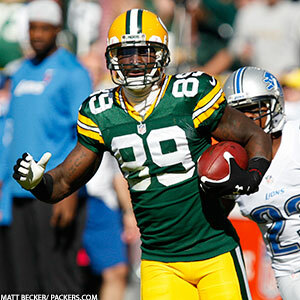 Jones was a limited participant on Thursday as well, but Mike McCarthy said he was only doing rehab. During the portion of Friday’s practice open to reporters, Jones was running routes with the offense and was dressed in full pads. “We’ll see how he is in the morning,” McCarthy said. Also on the injury front, TE Ryan Taylor was a limited participant in practice for the second straight day after missing the last two games following knee surgery. If Taylor can return this week, he might provide a boost to the special-teams coverage units, which have allowed some long returns in the last two games. Cleveland’s Travis Benjamin returned a kickoff 86 yards and Fozzy Whittaker ran one back 56 yards two weeks ago. Then last week, Minnesota’s Cordarrelle Patterson returned the opening kickoff 109 yards for a TD. Taylor is speaking, of course, about Chicago’s Devin Hester, who brought a punt back 81 yards for a TD against Washington in the Bears’ last game. That was Hester’s 18th career kick or punt return TD, most in league history.